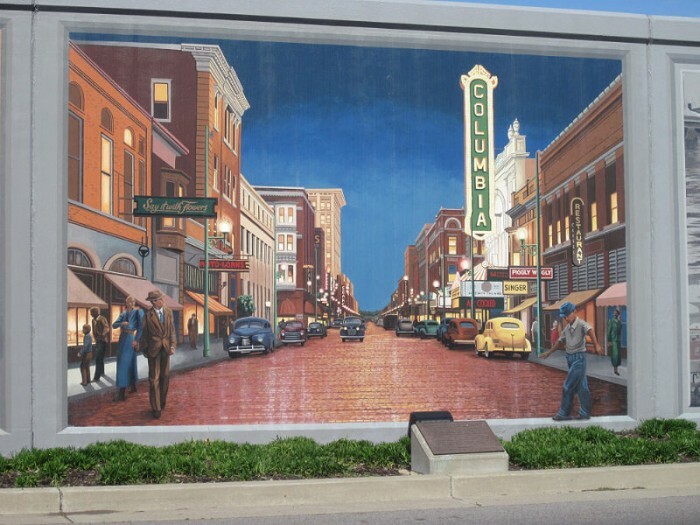 Paducah is an art-centric community. 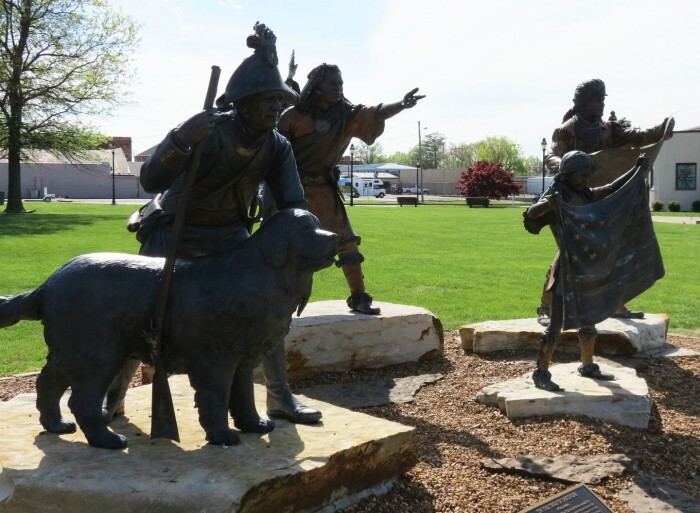 Statues are sprinkled throughout the town, in front of restaurants, shops, and other establishments, supplemented by an abundance of flowering plants. We were there right at the peak of the dogwood blooming season, although I didn’t manage to capture a good image of them. Azaleas also were prominent along residential areas. 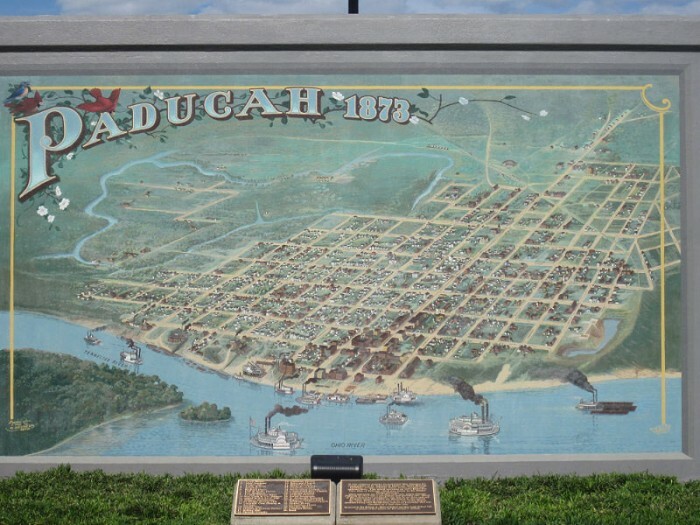 In 1999,Robert Dafford completed the “1873 Bird’s Eye View” of Paducah from the Ohio river. 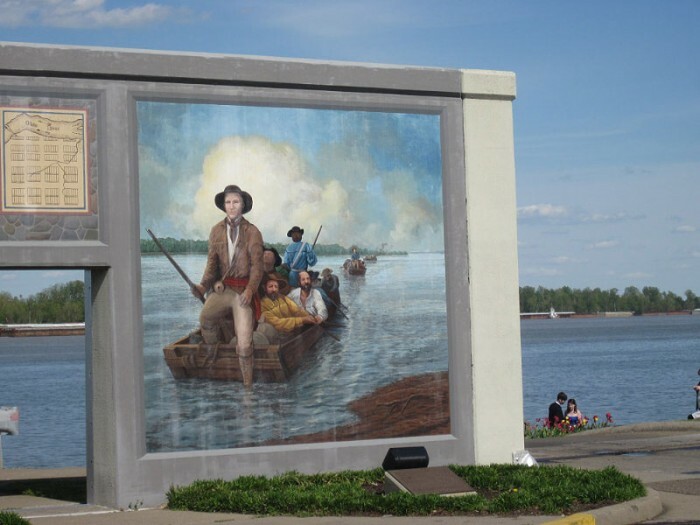 The Floodwall that protects historic downtown Paducah from the Ohio and Tennessee Rivers overflowing their banks includes three city blocks of painted murals that capture important moments in Paducah’s history. 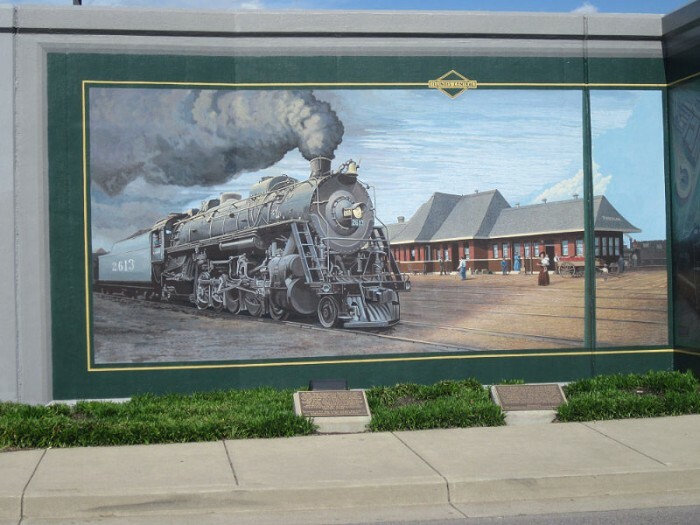 The murals were designed & painted by Robert Dafford and the Dafford Muralists of Lafayette, Louisiana. The project began in 1996; the last panel was completed in 2007. Each mural panel has an interpretative plaque with a short history lesson on the scene depicted in the panel. 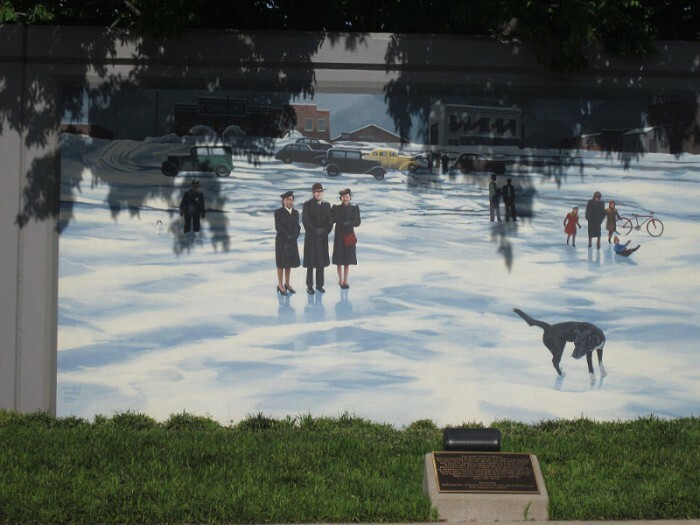 Each panel also has its own spotlight making the mural walk an enjoyable evening stroll and tourist attraction. 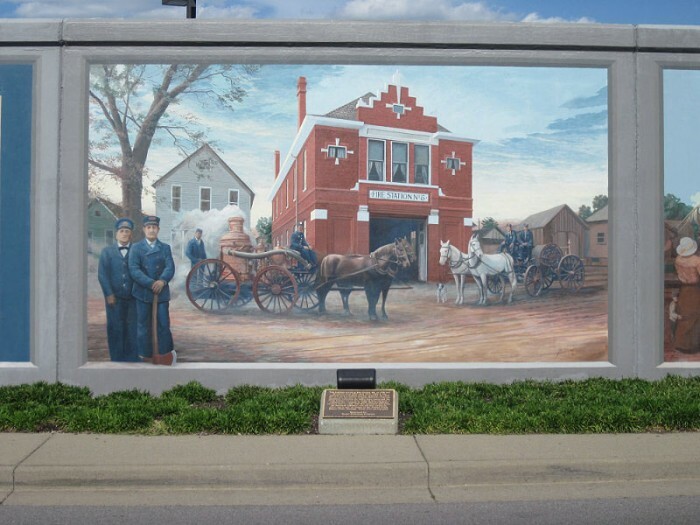 In addition to enjoying 45 attractive works of art, taking the mural wall tour serves as a multi-media history lesson on Paducah and NW Kentucky. In 1938 the Ohio River froze solid completely across bringing barge traffic to a halt but providing a winter playground for Paducah residents and school children freed from school by the freezing weather. Below are images of a few of the murals. All mural images were taken by Mary Chappelle. 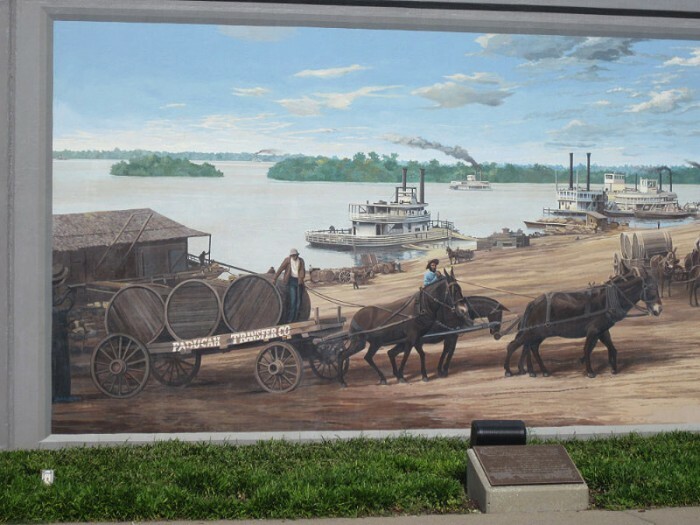 Paducah is a city rich in its cultural heritage. Although we saw only a portion of the art it has to offer, there was one final surprise in store for us. 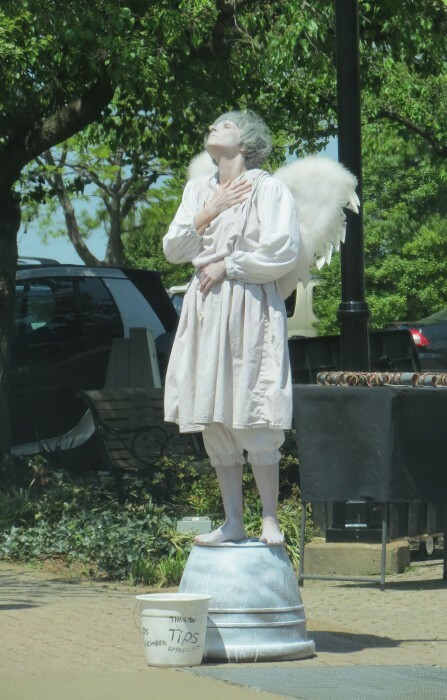 We saw the ‘angel’ as we were parking in the downtown area. Following a wonderful lunch, we returned to the rental car to find her still in place, posing in various positions. This image was taken through the windshield of the car. Next time you are within a six-hour drive of Paducah, it is definitely worth a detour through history. Personally, I think it is wonderful at any time of year. 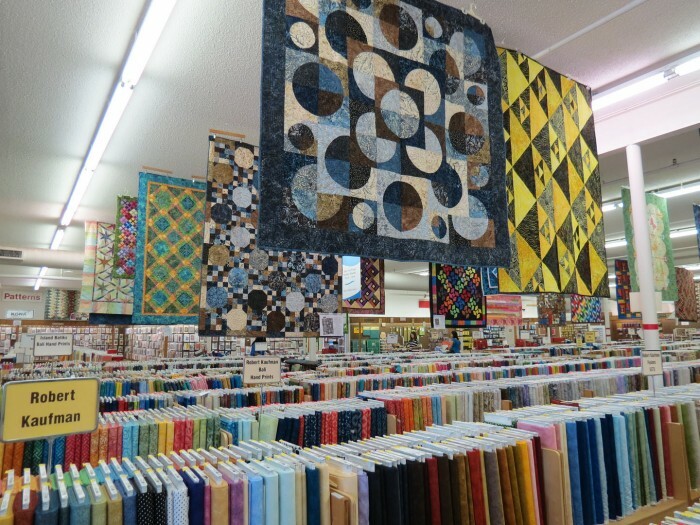 Or, perhaps it should be called Mecca for Quilters! 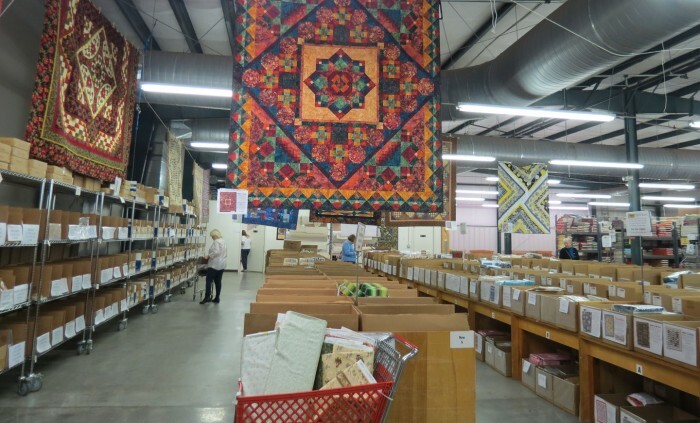 Although I had been to Paducah many times, I had never before crossed the threshold of one of the largest quilt shops anywhere, Hancock’s of Paducah. Seems that on every othervisit, either there were so many quilters already inside that I couldn’t get in the door, OR, I forgot that they close at 3:00 p.m. on Saturdays! Hancock’s certainly lived up to my expectations and more! 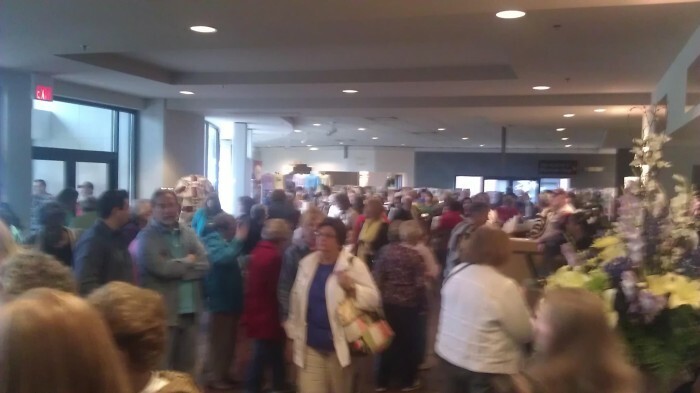 In fact, it was completely overwhelming. All the fabrics are arranged by manufacturers in LOOOOOONNNNNNG rows. Everything you could possibly want is here. The trick is finding, and deciding on the ones that speak to you. And, if the main showroom isn’t enough to keep one entertained, the back warehouse holds bin after bin of kits, fabric packs and everything else your heart might desire. It was a very hard place to leave but we had an appointment at the museum. 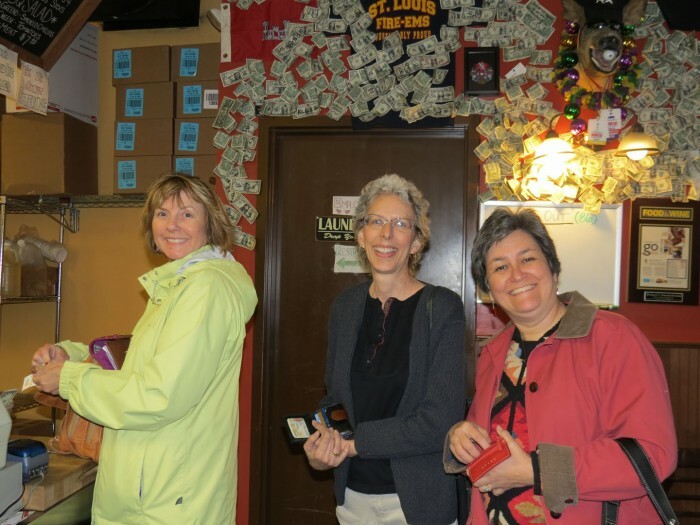 Yes, we did all leave some $$$ there with the fine folks at Hancock’s! 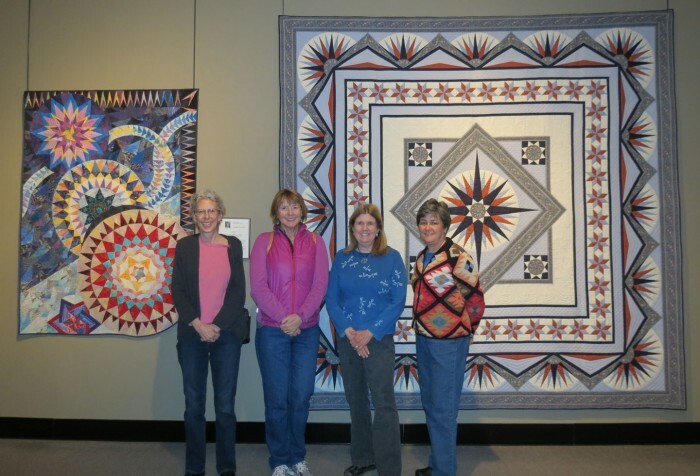 Last weekend, three of my good quilting girlfriends and I set off to Paducah. 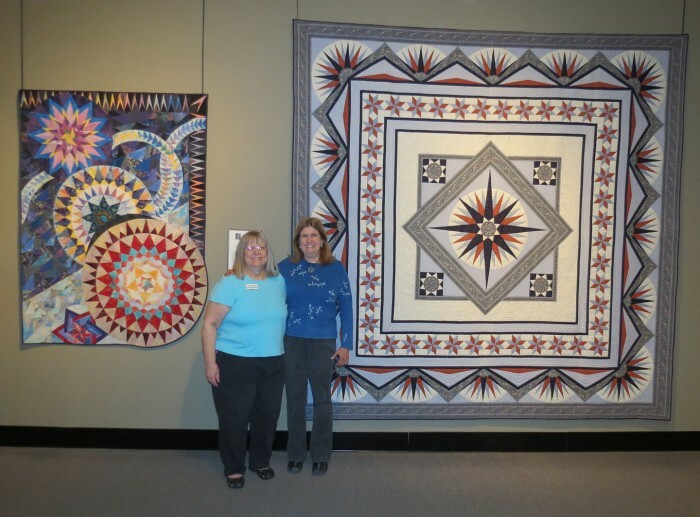 It all happened when two of my quilts were accepted into the National Quilt Museum in early March and I learned they would be hanging in the main gallery. Michele immediately announced, “I want to go!” Mary and Cynthia also thought it would be fun as neither of them had ever before been to Paducah and the Museum! So, we set about planning a girlfriends’ weekend. 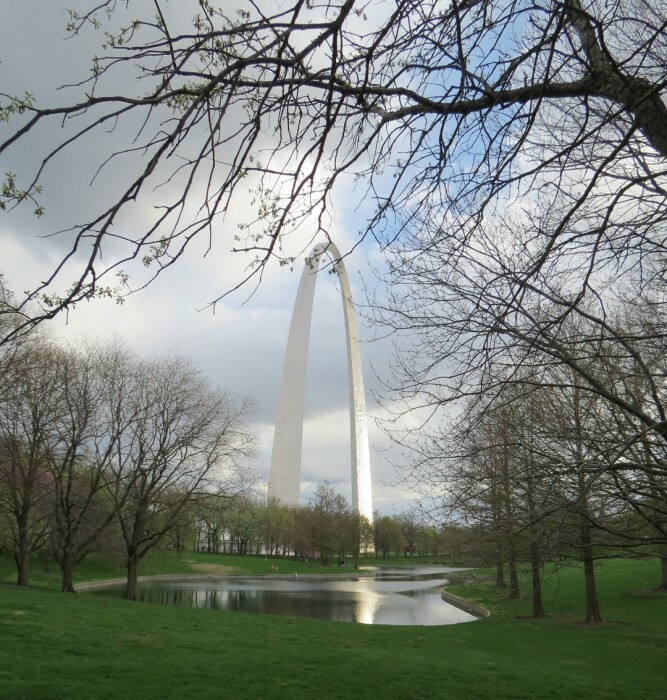 It was most economical to fly to St. Louis, so that became our first stop! Our first stop after leaving the airport that afternoon, was the great park down along the Mississippi River. 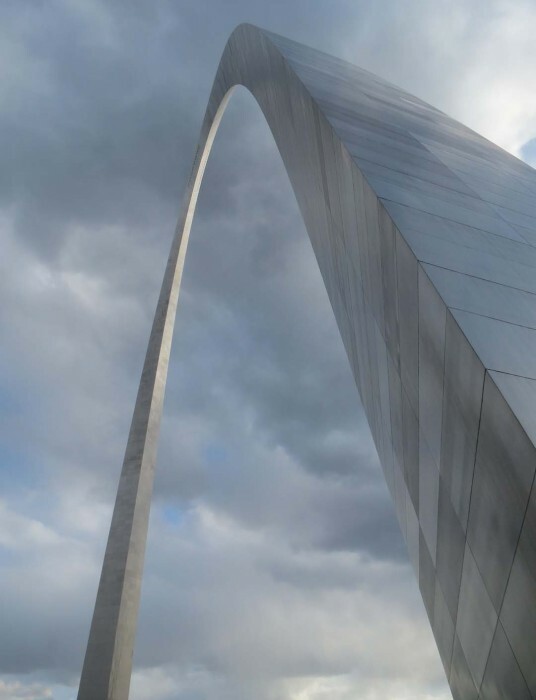 None of the other girls had seen the impressive Gateway Arch that stands as the iconic monument symbolizing the westward expansion of the United States. This architectural wonder that rises 630 ft. in the air commemorates the great journey of Lewis and Clark, begun 200 years ago. Interestingly, Cynthia just happens to be an architect, so we looked at the Arch and all of the surrounding buildings with new clarity and understanding! It’s amazing what a ‘personal-pocket-architect-guide’ can do to increase one’s appreciation for structure and composition. 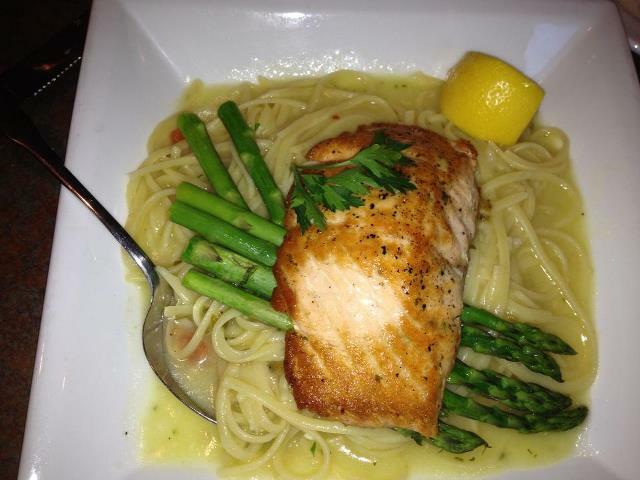 We had intended to stay downtown that first night and seek out the best restaurants. So . 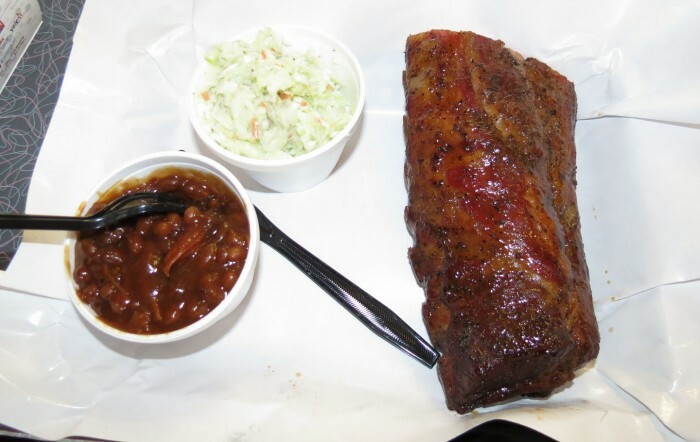 . .
St. Louis is best known for its barbecue! And, according to Trip Advisor, the Best of the Best in the downtown area is Bogarts Smokehouse ! In a little hole in the wall building just south of downtown, they only cook a certain amount each day and when it’s gone, it’s gone. They stay open until they run out of food each night, which could be anywhere between 6:00 and 8:00 p.m. We arrived at 6:00 p.m. I inquired about our best meal choice and they said RIBS! So a half slab of ribs it was for most of us. Melt-in-your-mouth juiciness and falling apart moist, they were simply delicious! By the way, we got the final order of ribs for that night! 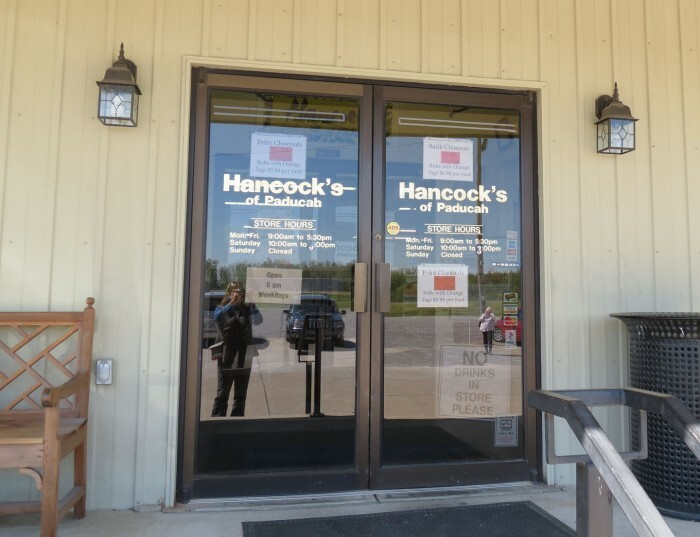 Stay Tuned for Chapter Two – On to Paducah! Have I told you that Show and Tell is my favorite part of every guild meeting? 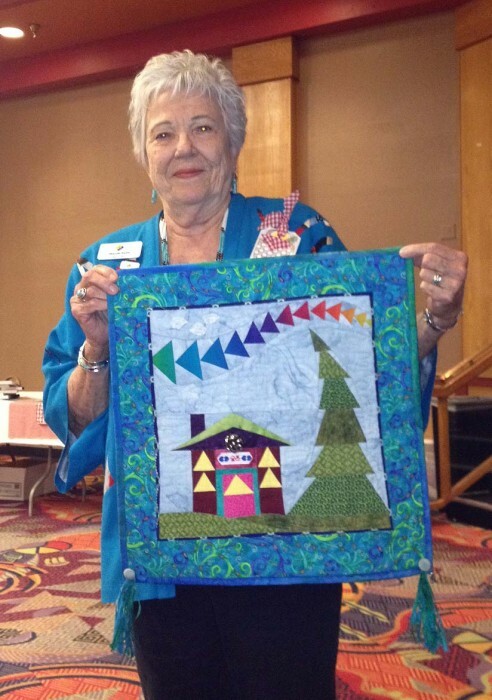 I love seeing what quilters create! 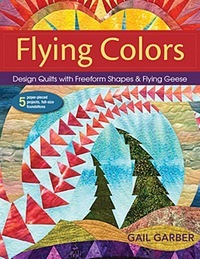 But I had no idea what was in store for me at this meeting – a special show and tell featuring quilts with Flying Geese and birds in my honor! What a treat! Sadly, my camera batteries died right as the first quilt crossed the stage, so these images were taken with my cell phone — not quite the quality to which I am accustomed! 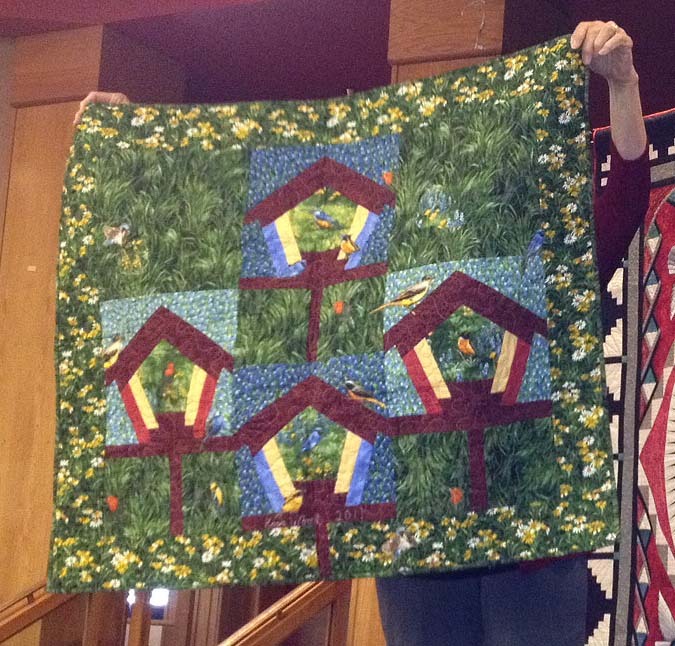 Wanda Seale had stitched up her rendition of “Little House of Geese” from the pattern that was published in American Quilter Magazine last summer. I love the addition of the tassels and buttons! 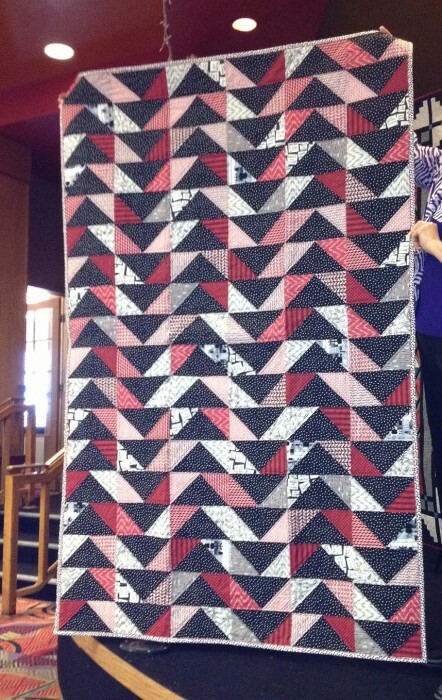 Janet Grant created this design using dramatic reds, blacks and white textured fabrics. 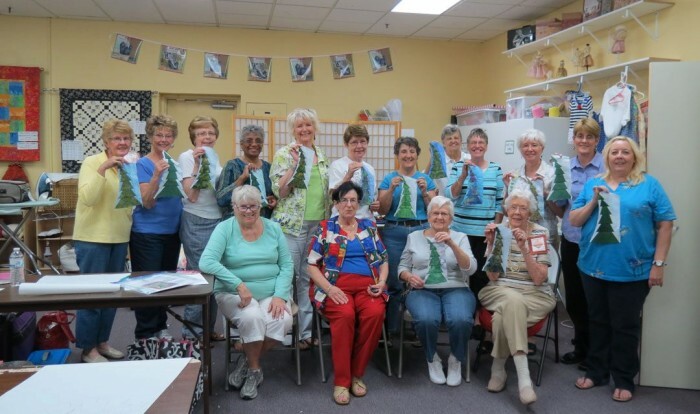 She used straight rows of geese to show off the strongly contrasting fabrics. 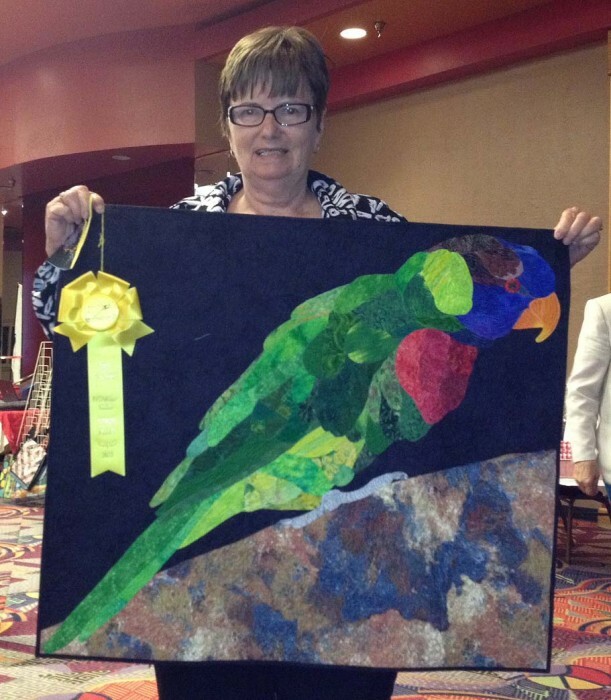 Barbara Nicholson’s parrot design has won numerous awards and it was one of the hits of this show and tell. A woman came up to say hello to me before the meeting began. I just knew that we had met before and said so to her. She agreed and told me that she was Kaye Wood — the one and only! What a surprise it was to meet her in Payson, Arizona. She has largely retired from teaching travel and enjoying travels just for fun. But, she’s still busy making patterns and showed off her new bird house design at Show and Tell. In all, a great meeting! I do have one final image to share in a couple of days. It’s on my regular camera which is packed away for my next trip. 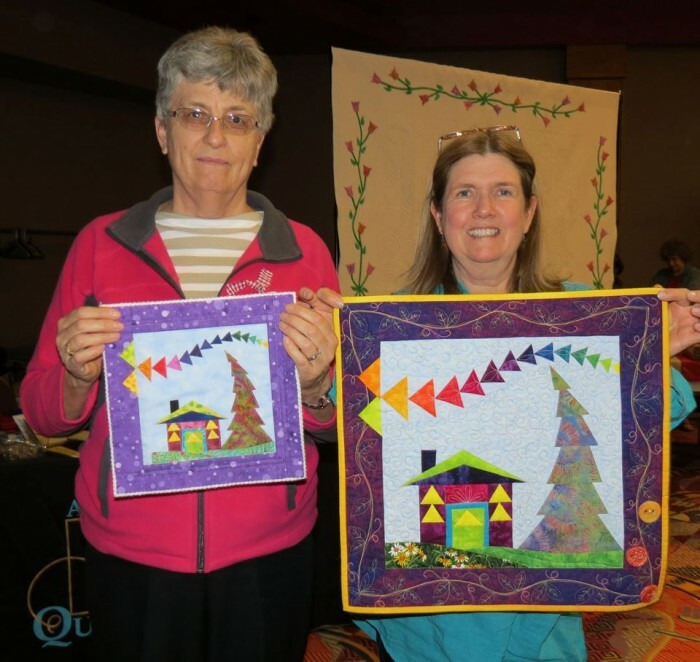 You’ll like the story that accompanies that quilt! I really appreciate it when students send me pictures of quilts they started in one of my classes. Here’s another wonderful quilt that began in class. 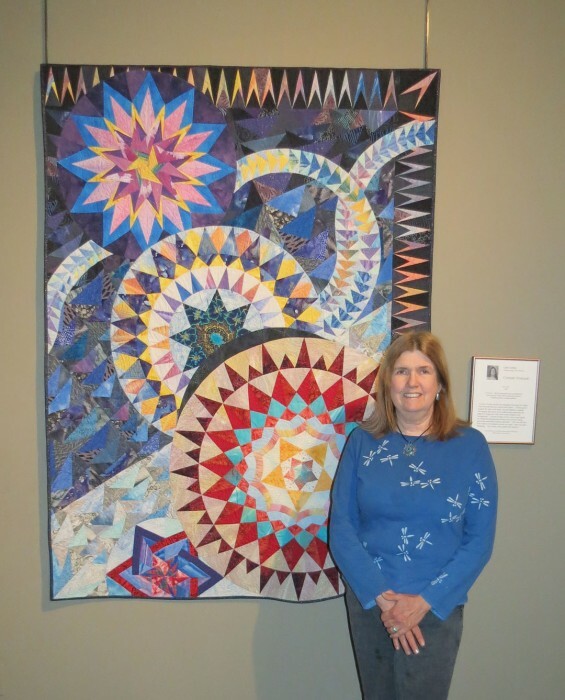 Ruth Turner took my design class at Quilt Colorado in Estes Park, in 2008. 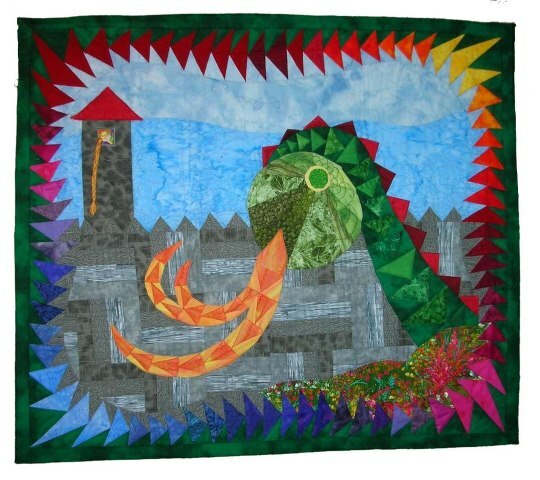 I love her clever use of flying geese in the dragon and her border is wonderful. Thanks, Ruth, for sharing this image. Calling all Travelers who Love Fabric! Join me Down Under in 2014! Want to travel down under? 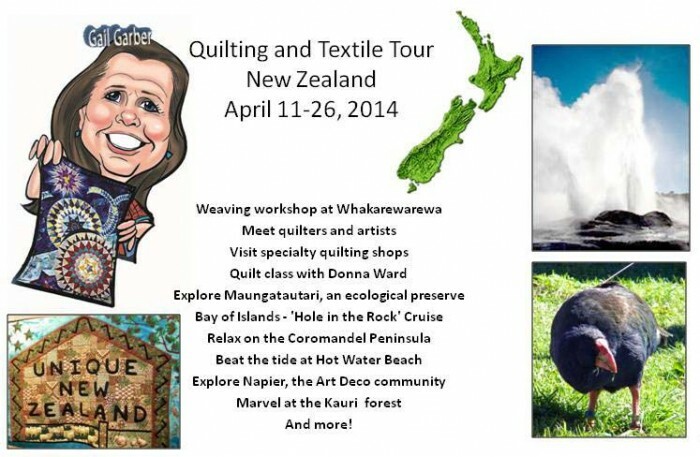 I am so excited to be leading another textile and quilting tour of New Zealand. We had SUCH fun in 2011! Join me April 11-26, 2014 with a pre-tour extension to Fiordland and Milford Sound. We will have a blast! For the full itinerary, please go to my tour page.